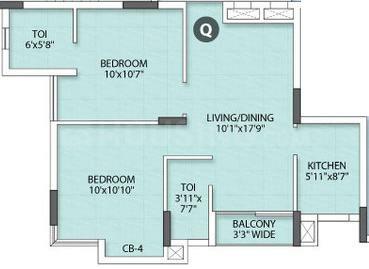 849.00 sqft. - 1346.00 sqft. 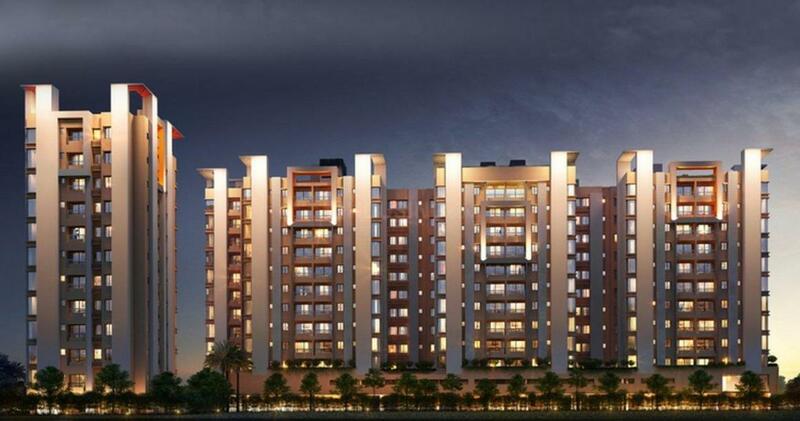 Rishi Ventoso comprises of aesthetically planned B+G+11 and 4 blocks with 154 flats. The complex offers you Vastu Compliant , South facing 2 & 3 BHK flats with dedicated wardrobe space alongwith remarkable Rooftop Amenities Infinity Splash pool & kids pool with changing room, AC Indoor Games, AC Gym, AC Community Hall, AC Children Play Area,Meditation Zone,Open air Mini- Amphitheater, Rooftop Landscaped Garden, Party zone/Cabana with water feature, Water Feature & Toddlers Play area. Infinity Splash Pool & Kids pool with wooden deck and changing room. Meditation Zone with Wooden Deck. CCTV with Central Security Survelliance. Gated Community - Well trained Security Personnel/ Guards at Strategic Points. Intercom Connectivity within Intra flats, Club,Block Lobby & Security kiosks. Modern Residential Fire Fighting system with Sprinklers & Smoke Detectors as per norms. 24/7 Generator/Power Back up for all common areas & services. Generator/Power back up for Flats - 2BHK-750W & 3 BHK - 1000 W.
Service Toilets for Housekeeping,Facility Management, Staffs etc. Each building would be equipped with a Passenger & Stretcher lift. Dedicated office space for Facility Management / Association. Well decorated Ground floor Lobby. Interconnected Green Roof with fusion of Natural & Faux Green. Dedicated Wardrobe space in flats. Podium ,Ground & Basement Level Car park. Provision for Electric point for Washing Machine. 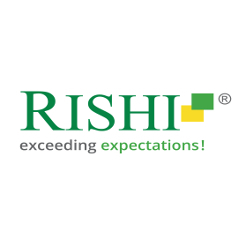 Rishi' is the flagship brand of the real-estate division of RISHI Group Embellished in 2007. Its real estate division turns barren lands into landmarks under the brand 'Rishi'. Rishi Ecoview, Rishi Enclave, Rishi Tower, Rishi Tech Park stands tall today in Eastern India, building the brand’s reputation in a short span of time. Rishi is one of the most valued real estate organizations in Eastern India, known to deliver the finest architecture and a stellar quality of life. Growing at top speed, Rishi Group has innovative. Residential and commercial project lined up including Artista and Rishi Ventoso comprising of about a million sqft. of affordable residential homes. Since 2009, the group has ventured into KPO Globally as Edit International rendering Content - editing, management, electronic document management services to international publishing, legal, medical, healthcare, scientific and engineering research organizations with its development centre in Chennai and CRM office in USA.